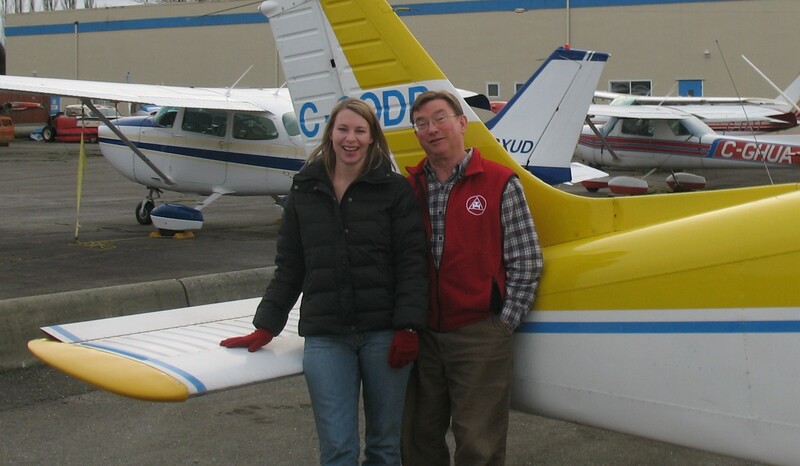 Christine Zboyousky, Private Pilot Flight Test, Langley Flying School. 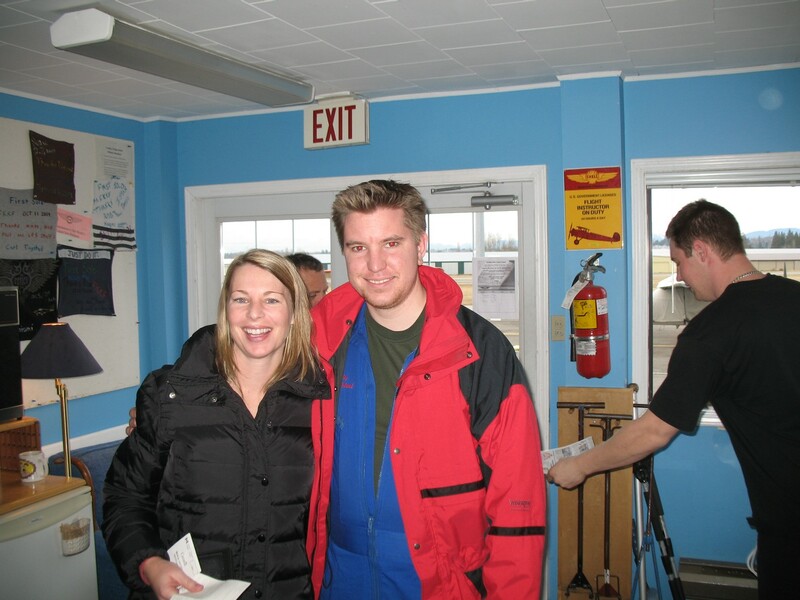 Christine Zboyousky with Pilot Examiner John Laing after the successful completion of Christine's Private Pilot Flight Test on January 7, 2010. 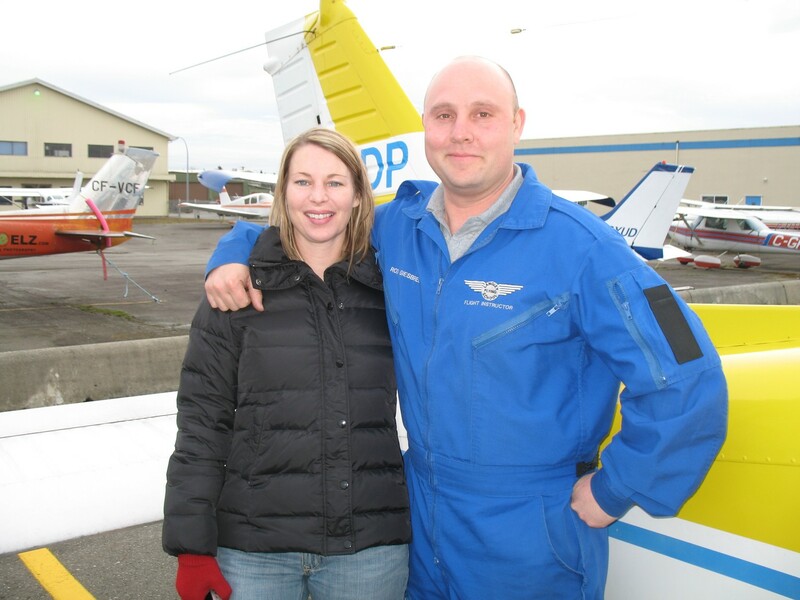 Congratulations also to Christine's Flight Instructors, Rod Giesbrecht and Philip Craig.